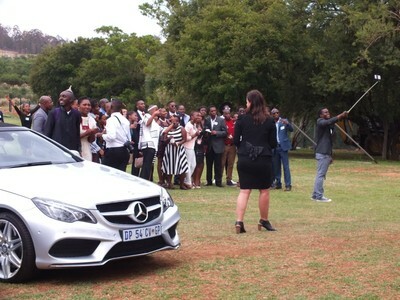 The Youth Empowerment through Sport (YES) graduation took place at the Mercedes-Benz South Africa head office in Johannesburg. 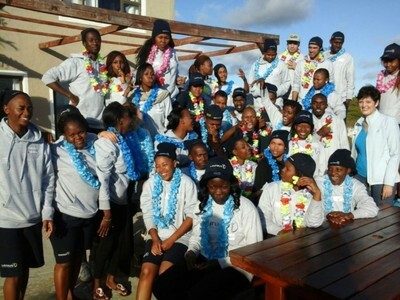 The course is a Laureus Sport for Good programme and had participants from five African countries. Nemato Change a Life member Lunga Mcetywa was the only graduate from the Eastern Cape. In the last picture you see the handover of the certificate, from left to right: Quinton Fortune (South African former Manchester United soccer star), Morne du Plessis (former South African rugby captain, Laureus South Africa chairperson), Lunga and the representative of Mercedes-Benz. Great achievement for Lunga and we are looking forward to see him play an important role in the management of the organisation. We are extremely excited to announce that the Mike Thomson Change a Life Trust is going to build a Nemato Change a Life Centre! For years our main funder the Mike Thomson Change a Life Trust has been keen to build us a centre. We run our programme from a small 'RDP' house that is literally cracking under the load of too many people in too little space. 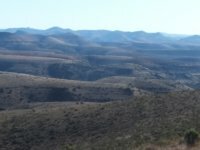 It's just very difficult to find land in our township. At last the land has been secured and the building can start. 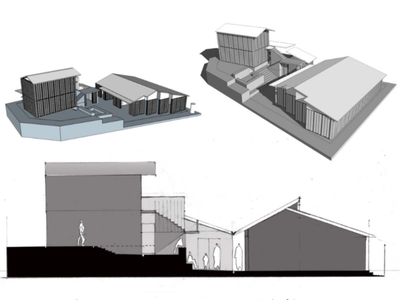 We have one of the most creative and innovative architects in the country, Robert Rich, designing the centre for us. It's going to be built using sandbag building technology. Skills training will be part of the building process so that local people can use this building system. These drawings are the very first sketches. In South Africa it’s easier and cheaper to become a professor than to become a welder. Skills training is poorly developed. This is very sad. It leaves large numbers of youth without a future and at the same time many vacancies unfilled. 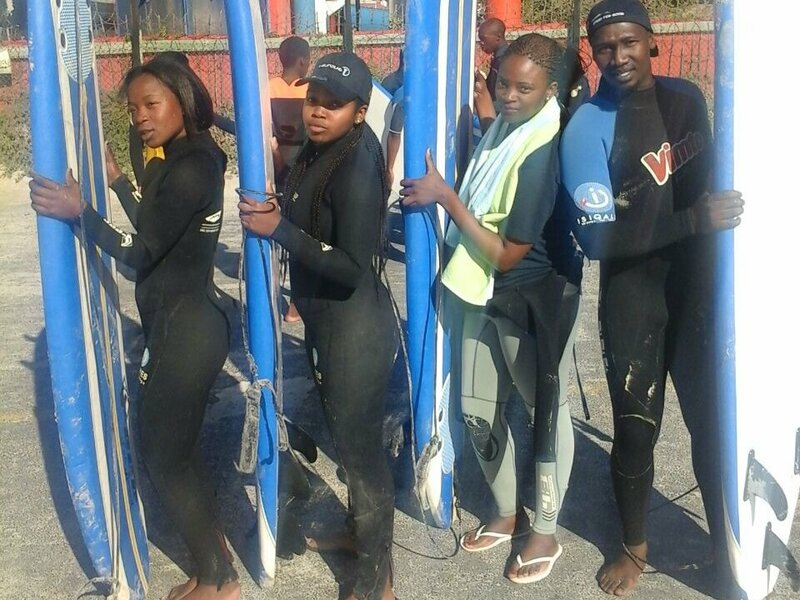 Our dream of offering learnerships and apprenticeships for our disadvantaged township youth, is a hard one to make reality, but informally we have made some great steps forward. Bongisani, a long term member who was doing maintenance at our place, started a learning job at Global Engineering Workshop in Port Alfred. Due to his commitment it changed from an unpaid part time job into a full time paid job within a week. We offered Ashley, a long term member who is running our office, a one week event management learning experience at a company that organises youth camps and other educational events. The one week became six weeks and probably a job offer. It's clear that active members have a mindset of commitment that is in high demand. We are just hoping that we'll find a way to offer training opportunities that lead to formal qualifications that will prepare our beneficiaries for good jobs and good salaries. A generous donation by the Task Group Sustainable Development of the Dutch Remonstrant Church, made it possible to buy a ranch of tools and equipment for our programme. Probably the most impacting is the projector that we use in our after-school maths and literacy class and for our weekend and holiday programme. The possibilities are endless. We make spreadsheet graphs, read books, check the meaning of difficult words, watch Khan Academy maths videos, explore the world of maths and science on YouTube, and so much more! Our new taxi offers us many new opportunities. Today was a warm winter day, we took our pre-school children to the park in town. Playing, eating and fun! Only a small group of members has a high attendance. 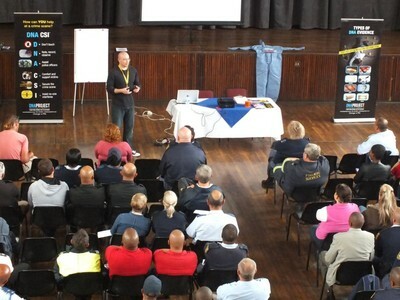 Time to reward commitment with a special trip to Port Elizabeth. 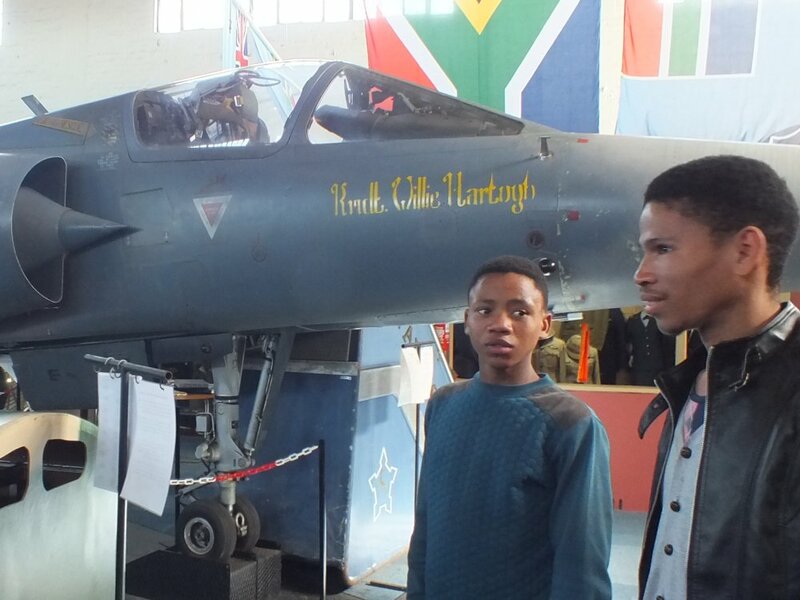 Fun time in the new mall, a night in a hotel, a four star breakfast and an interesting visit to the South African Air Force museum. We had a great time! A group of the most active and most deserving members visited the Mountain Zebra Park, a beautiful nature reserve in the Karoo. 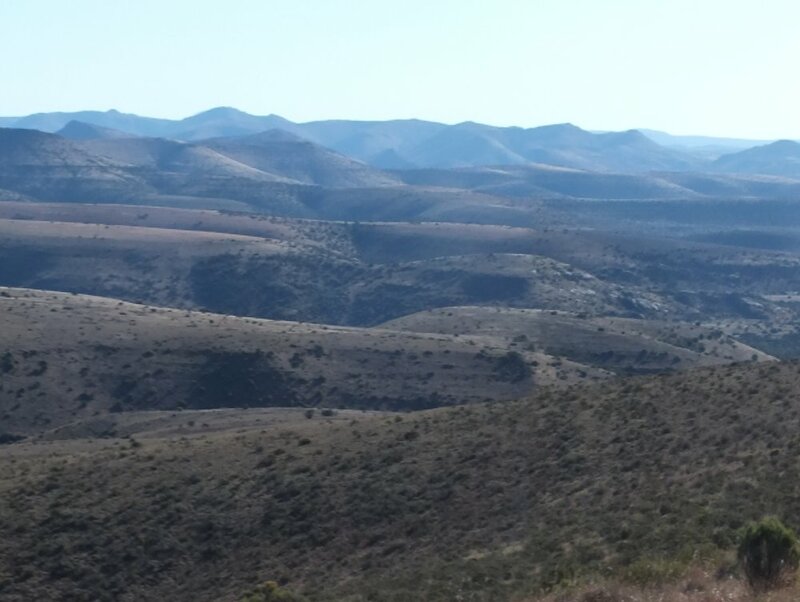 The landscape is amazing and we saw lots of animals. 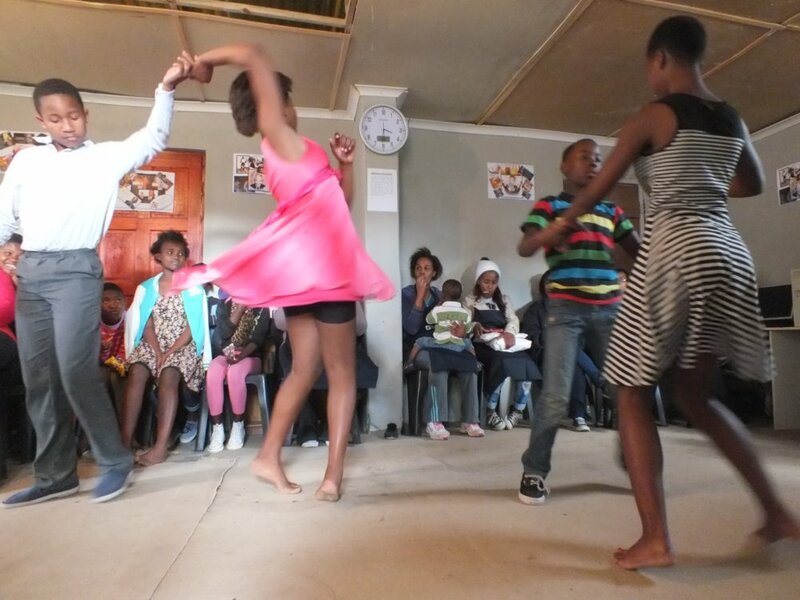 Five Nemato members have been participating in the ballroom dance programme of our local sister organisation Phumelelo. Today it's show time during a Mandela Day event at Phumelelo. This fantastic 14 seater Quantum GL diesel taxi is the very generous donation by the Mike Thomson Change a Life Trust and Alexander van Assendelft. We want to say THANK YOU VERY MUCH! You guys are amazing for making this possible!!! It will solve our many transport challenges and opens up lots of new opportunities. 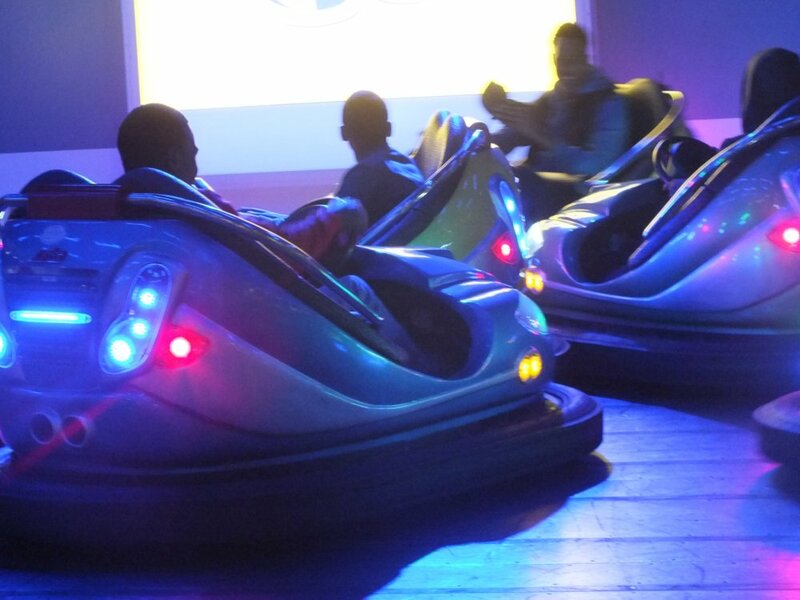 It will take us to sports competitions around the province and the country. We'll go sightseeing, to see a bigger and better world than our township. 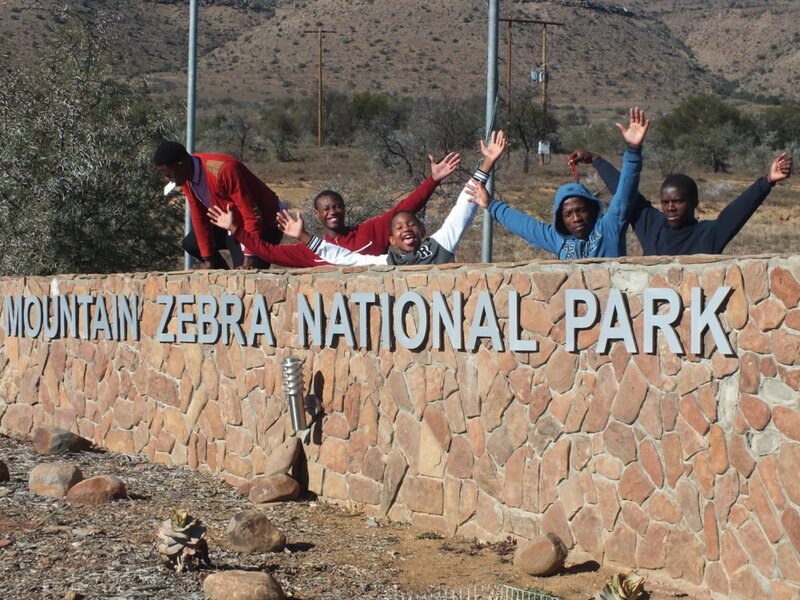 We'll go to arts and science festivals in Grahamstown. It'll tow a small trailer with our rowing boats. 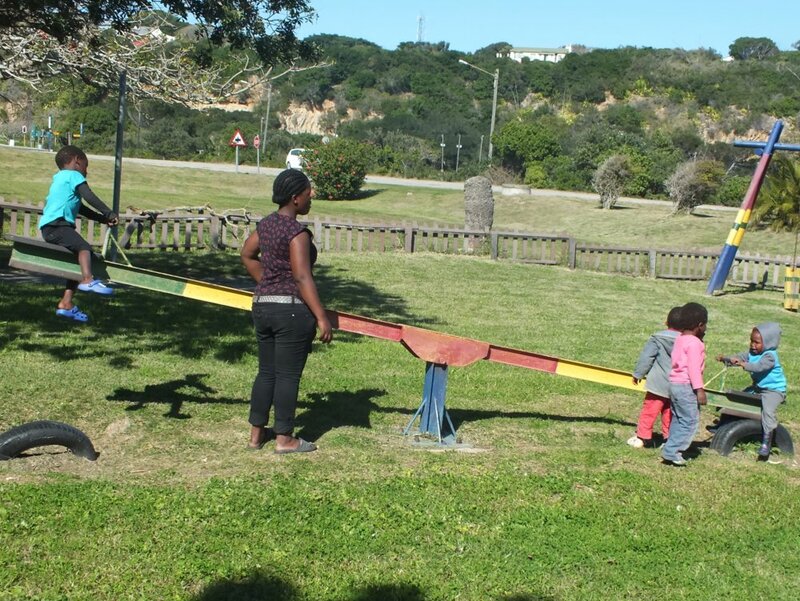 It will take our students and gymnasts to Port Elizabeth, our fencers to Ingubo, bring our groceries from town, and take our members safely home after our evening class, and much much more! Nemato Change a Life is one of six projects supported by the Mike Thomson Change a Life Trust. 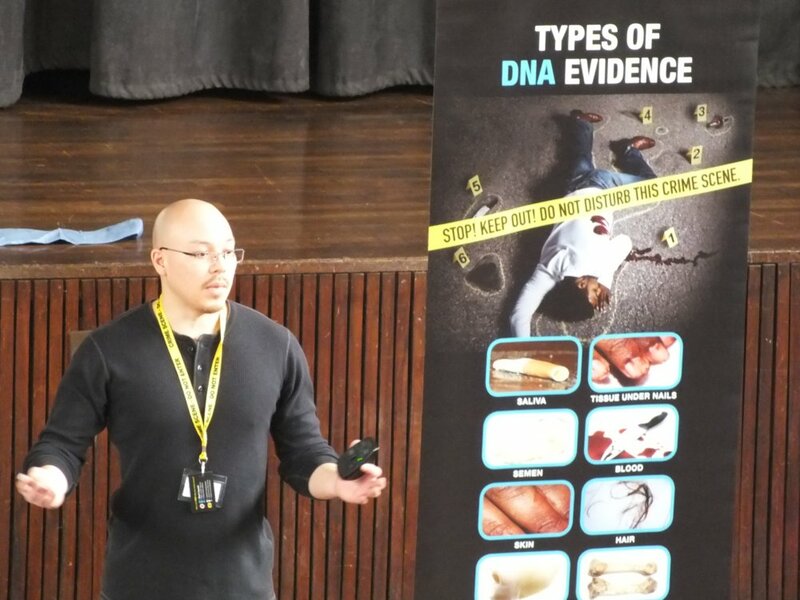 Another beneficiary is the DNA Project, who is promoting the use of DNA to solve crime. When crime levels in our community were getting out of hand we started some community projects trying to address this issue. One of them was linking the DNA Project with our local police. This resulted in a presentation by the DNA Project in the Port Alfred Civic Centre for police, security companies, ambulance personnel and other people who are early on a crime scene. Presenter Lee explained the new law on DNA, the use of DNA to link people to a crime and how to protect a crime scene. We hope this event is a start of a working relationship between the police, our community leaders and us to bring back crime to acceptable levels. Read the Daily Dispatch and Talk of the Town. We established the Nemato ECD Forum. 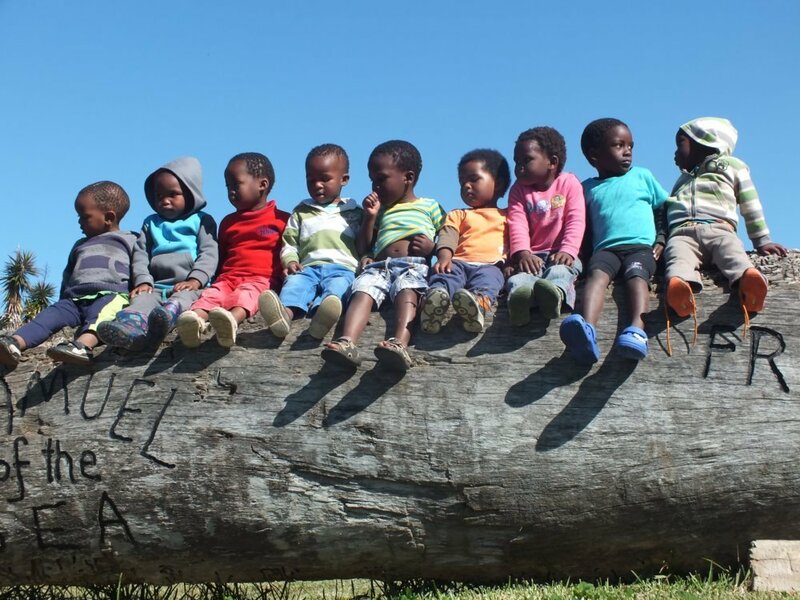 ECD stands for Early Childhood Development, and the forum brings our township pre-schools together. In the first meeting Early Inspiration from Port Elizabeth presented a one day financial literacy programme to help pre-school owners to run their finances. Hopefully, through the forum, we'll be able to offer many more learning opportunities. Running a pre-school is often a lonely challenge. In the forum, pre-school leaders can exchange ideas and support each other. 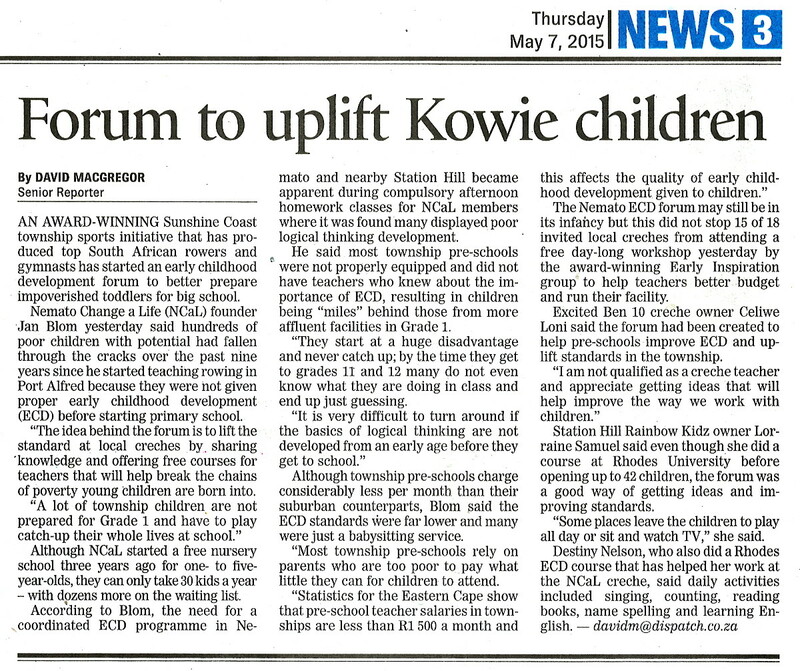 We are hopeful that the forum will have a is a strong positive impact on pre-schools in our community and on the first years of development of our children. Read more in the Daily Dispatch. 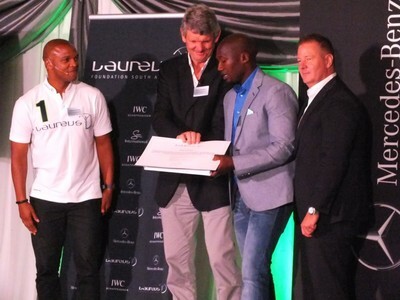 Congratulations to Lunga Mcetywa. He has been selected for the YES Programme by the Laureus Sport for Good Foundation. The YES programme is one of the ways that the Laureus Sport for Good Foundation is empowering and inspiring youth leaders in Africa to use sport for the good of their communities. The YES students will get technical, vocational, entrepreneurship and life skills needed to change their communities for the better. 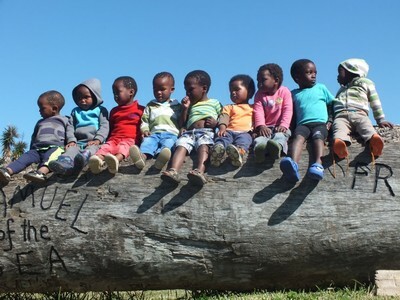 Lunga has a long history in Nemato Change a Life. He is a rower and a coach in rowing and gymnastics. 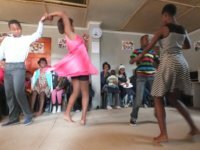 He started Nemato Gymnastics Club and was the general manager of Nemato Change a Life before he moved to Port Elizabeth to study. We are very happy with this new and well deserved opportunity for him. Where do you go to get skills much needed in the country? When you are a star in maths or rich, you can find your way, otherwise you are stuck, leaving the majority of the youth without a chance. If government doesn't do it, we do it. This is our first welding session, a gas welding lesson by Denzil Schultz.